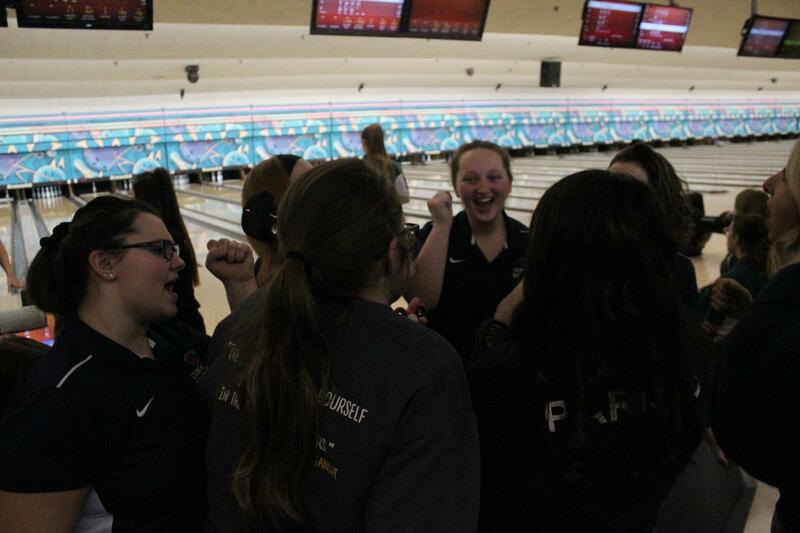 Kaylee Murphy, '19, celebrates with her teammates. The bowling team huddles up before starting to bowl again. 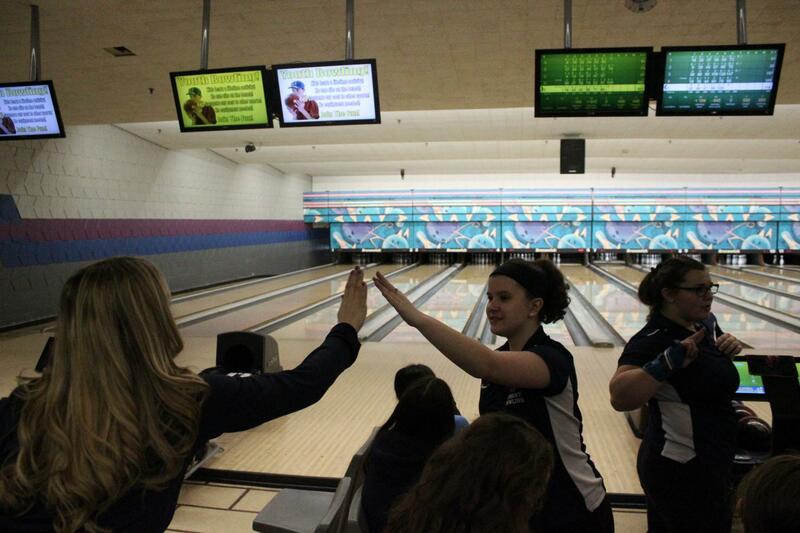 The bowling team gets together for a cheer before bowling again. Cassie Hyland, '20, celebrates with her teammates. Elizabeth White, '20, high fives head Jennifer Mikrut. 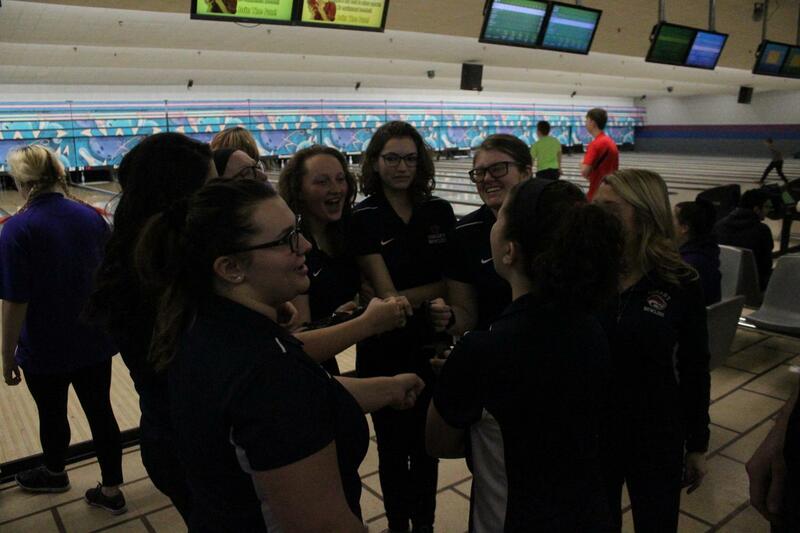 The bowling team breaks up a huddle with a cheer before bowling again. 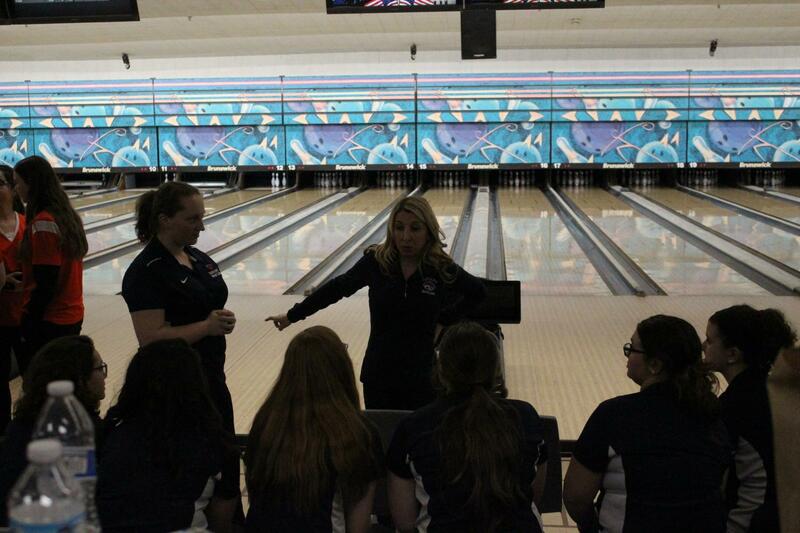 Head coach Jennifer Mikrut talks to her team after their sixth and final game. 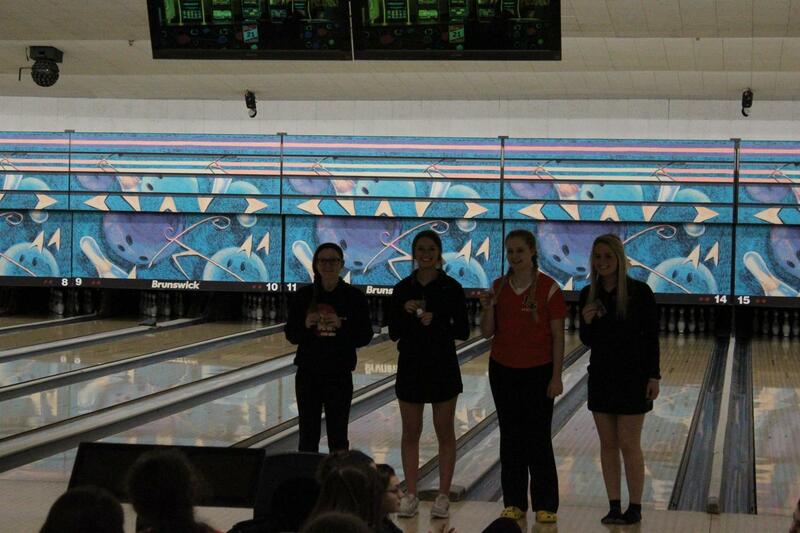 Jemma Skweres, '21, (far left), is honored after placing fourth individually at regionals. 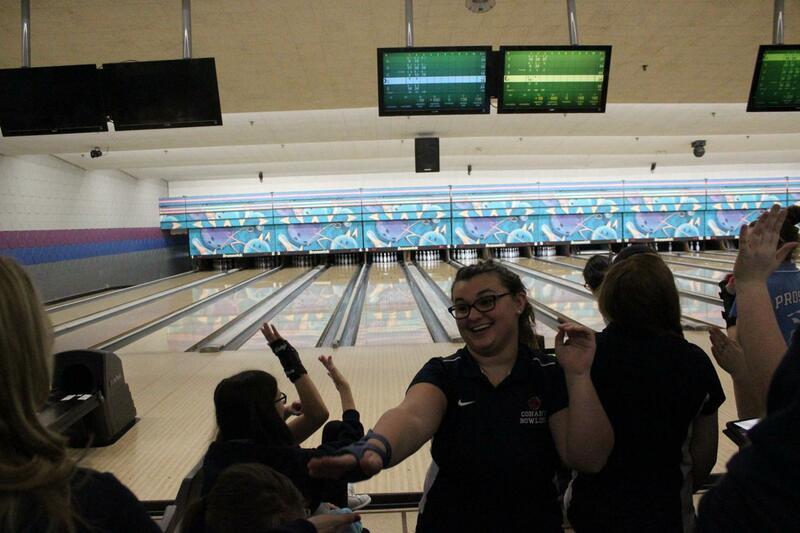 The bowling team takes a team picture after placing third at regionals. 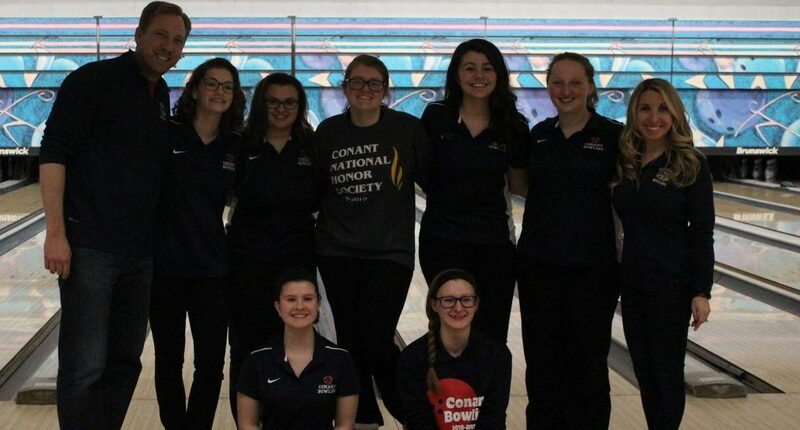 The bowling team finished third overall with a score of 5,054 at the Conant Bowling Regional hosted at the Elk Grove Bowl on Feb. 2. By placing in the top four at Regionals, the Cougars qualified for Sectionals for the first time in five seasons. The Cougars’ best individual performance was from Jemma Skweres, ‘21, who finished fourth overall individually with a score of 1,148. 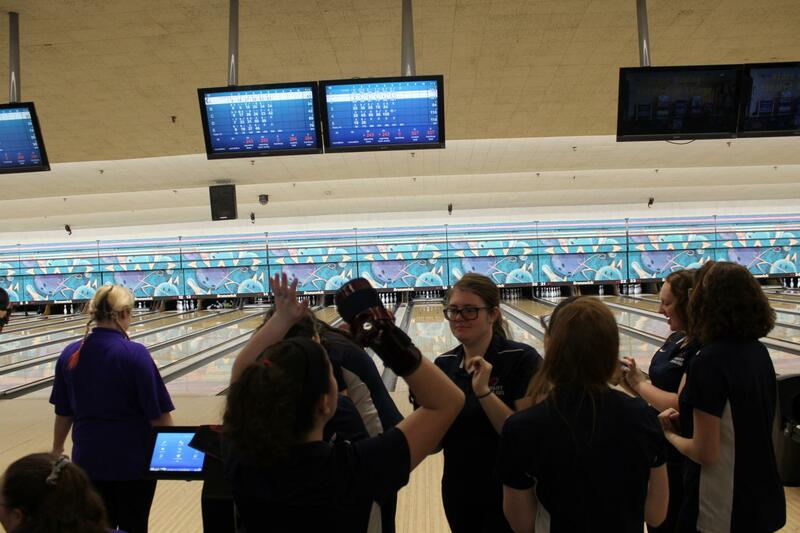 The Cougars will compete in Sectionals on Saturday, which will be at the Poplar Creek Bowl in Hoffman Estates. If the Cougars place in the top four as a team at Sectionals, they will make it to State as a team. 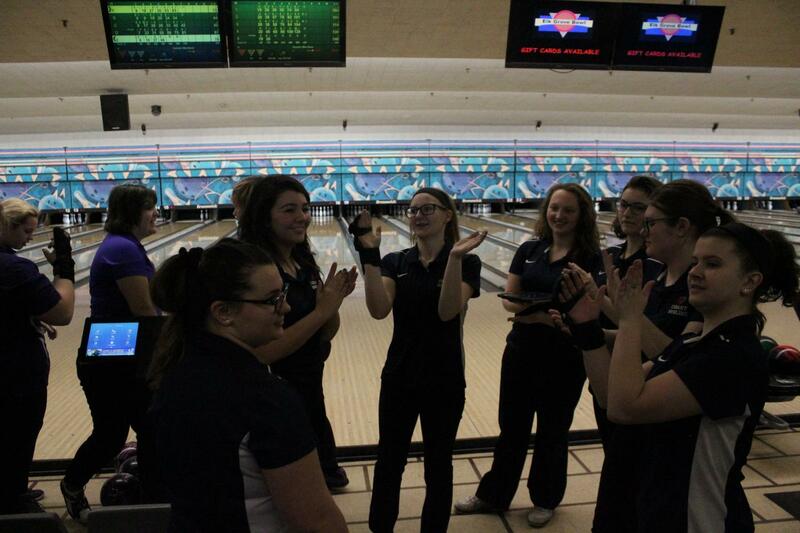 If the Cougars do not qualify as a team, individuals can advance to State if they place in the top five of bowlers who are on non-qualifying teams. 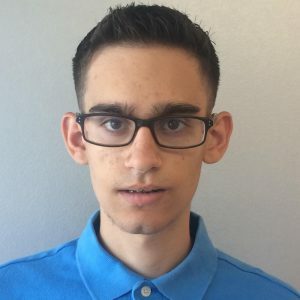 “We had a couple of low games this week, which were below our average, but if we just pull average next week and stay up with some of the high games that we had today, I have no doubt in my mind that this team could make it to State,” Mikrut said. Next story The Crier Inquires: Is Valentine’s Day truly a heartfelt holiday, or is it just one of Hallmark’s many schemes?